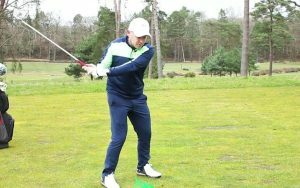 Golf Monthly Top 25 coach Neil Plimmer has some body rotation golf drills to improve your consistency in all aspects of your game. 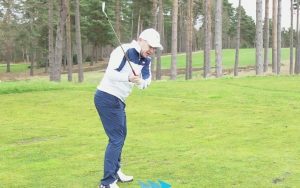 If you regularly read the instruction pages of Golf Monthly you’ll know that, as coaches, we often stress the importance of a good posture. 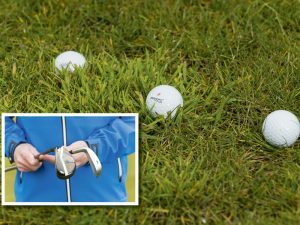 Not only will a sound spine angle, set at address and maintained through impact, help you make consistently sweet strikes, but it will also ensure you make a good turn. One of the big mistakes I see is standing too tall at address. 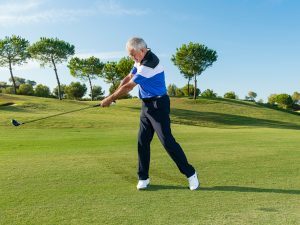 As the main muscles in your legs and midriff are not engaged, you’ll have a tendency to slide your hips as you take the club back. 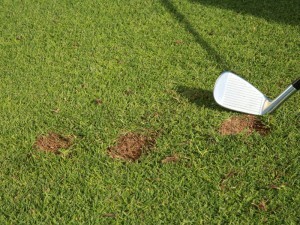 This ruins the resistance required between your upper and lower body at the top of the backswing. Resistance is what creates power and also helps your ams and body work in harmony on the way down. Of course, for every player who stands too tall at address, there’s another who hunches over. 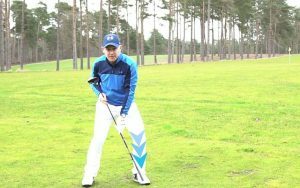 This encourages a tilting of the shoulders, as opposed to a powerful coil as you take the club back. 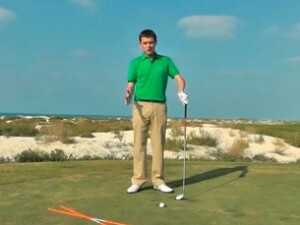 Remember that you’re looking for your upper body to rotate while maintaining the same spine angle you set at address. 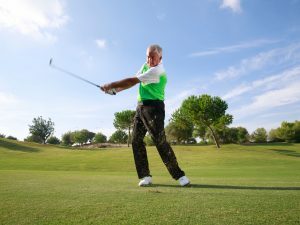 Power in the golf swing comes largely from the way your upper body rotates against the resistance of your lower body. To highlight this, I’ve placed an alignment stick through my belt buckle and held another across my shoulders. Notice how the one mirroring my hips only turns 45 degrees, where as my shoulders turn 90 degrees. 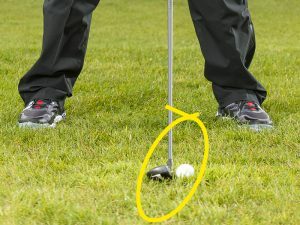 This is the torque that creates speed through the downswing. 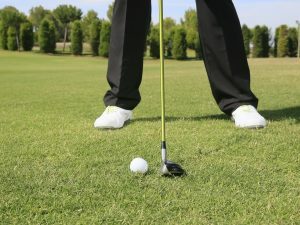 You’ll need to be supple enough do this well, but even if your body won’t allow you to make a full turn, understand that your lower body needs to resist, creating the disassociation to help generate power. If you’re unsure about your body rotation, use this test to find out. Once you reach the top of the backswing, you need to make a transition that will deliver power without losing control. 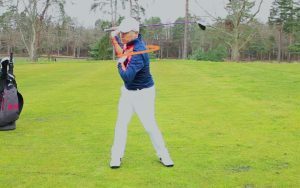 The start of the downswing is triggered by a small movement of the hips towards the target. The upper body then begins its rotation back. 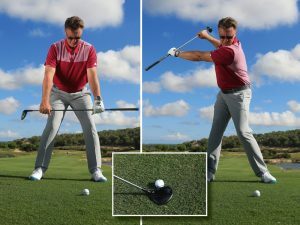 The separation, as the hips move towards the target, between your full upper-body turn and your lower half will help you find a blend of power and control. 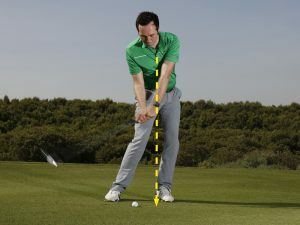 Place an alignment stick across your hips and rehearse this move. Once your shoulders have made a full turn, practise bumping your hips towards the target. You should notice how the movement of your hips sparks the uncoiling of the upper body. 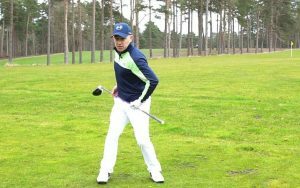 As you swing through to the finish, your upper and lower body will both face the target.